Posted December 18, 2013 by Russ Cope & filed under Credit Issues, Debt Collection. ast updated July 31, 2018. It’s dinner time and the phone is ringing…again. You told the jerks to stop calling but it didn’t do a bit of good. Your phone is ringing off the hook. The kids want to know what’s up. Even your Mom is receiving calls. Stress levels are rising, and fast. Is this legal? 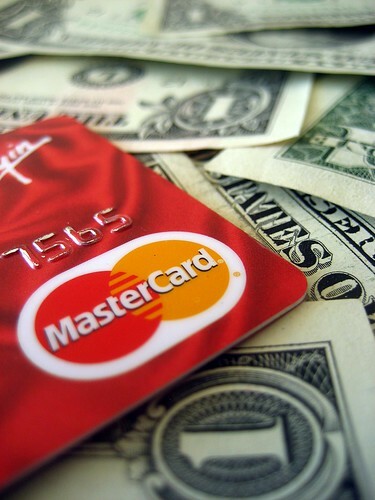 Can debt collectors ruin your life over a past due credit card bill? The answer is no, debt collector harassment is not legal. Whether you’re in Ohio or another state, there are laws in place to prevent bill collectors from taking things too far, but you’ll need to pay attention to the rules if you hope to win the war. I’ve assembled a cheat sheet of sorts below that lays out the rules for fighting back against the debt collection harassment machine. The FDCPA is a federal debt collection law that governs the behavior of the debt collection industry by preventing and punishing behavior that rises to the level of harassment. Its protections are powerful. However, before we delve into the particulars, I should mention that the FDCPA only applies to third-party debt collectors pursuing consumer debts; it does not apply to the original creditor. It means that if the party you originally borrowed money from is harassing you, you won’t have recourse under the FDCPA. In order to trigger federal protection, your debt must have been sold to a third-party debt collector. A common scenario in the debt world unfolds something like this: You borrow money on a credit card or some other unsecured loan. You fall behind on payments. The creditor sends letters and tries to collect, but gives up after 6 months or so. They “write off” your debt, meaning they no longer count on it as a performing asset. To recoup some of their investment, they sell the debt to a debt collector. The debt collector either pays a small fraction of the loan for the rights to collect the whole note, or take a percentage of what they collect if they can get some money out of you. Now you see why they’re so eager to get cash out of you. Their business is getting “hopeless” past due accounts to pay up. With that background out of the way, we can now get into the details of what exactly the FDCPA prevents bill collectors from doing. – Debt collectors are prohibited from making false or misleading statements to collect a debt. The 11th Circuit Court of Appeals memorably ruled in 2012 that there is no such thing as a harmless debt collection lie. – Debt collectors cannot communicate about a debt at an unusual time or place. This means you can stop collection calls early in the morning (before 8am) or late at night (after 9pm). – Once a debt collector knows you are represented by an attorney, they must communicate with your attorney, not with you. Similarly, debt collectors can only communicate with a third party, like a friend or relative, if necessary to ascertain your location. If they already know how to contact you, then communicating with a third party is a violation of the FDCPA. – Debt Collectors are prohibited from making threats while collecting a debt. This is a big one as debt collectors are often abusive, especially over the phone. You’ve Identified a Violation, Now What? Well, for starters make sure it’s well documented. Remember that you’ll be required to prove the FDCPA violation in court. Some states, including Ohio, only require the consent of one party before a phone call or other conversation can be legally recorded. In these situations, you can legally record a threatening debt collector without fear of legal repercussions and offer it as evidence in court. In other cases, such as when a debt collector is illegally communicating with a third party, your fax machine will be your best friend. Let’s say you’ve told a debt collector to stop calling, but they ignore you. Hiring an attorney to handle the matter will only trigger FDCPA protection if it’s communicated in writing. In other words, if a debt collector is harassing you, make sure you can prove that the behavior took place, you asked repeatedly for it to stop, and you did so in writing. Once you’ve assembled evidence of an FDCPA violation, contact a lawyer. In addition to attorney’s fees, the FDCPA allows debtors to collect actual and statutory damages from debt collectors who violate its terms. As a practical matter, actual damages are likely to be limited. Aside from emotional distress, debt collectors who behave poorly are mostly a nuisance; they rarely cause economic damage. In recognition of this, Congress allows for $1,000 of statutory damages each time a bill collector violates the FDCPA. This means that if you can prove that a debt collector violated the FDCPA, you’ll be entitled to $1,000 and your attorney will be able to recover her expenses as well. All in all, not a bad way to stop debt collection harassment and teach those pesky debt collectors a lesson. Be aware that the time limit within which a claim for damages under the FDCPA must be brought is one year. Regardless of the evidence you assemble, after the statute has run, you will not be able to file suit. Something else to consider is bankruptcy. While bankruptcy is a last resort for most folks, it offers powerful protections against debt collectors and collection lawsuits. Once a bankruptcy case is filed, a court ordered injunction called the automatic stay goes into effect. The automatic stay prevents all creditors from contacting you for any reason. It will stop collection calls, lawsuits, foreclosure, garnishment, and any other type of collection activity a creditor can possibly throw at you.